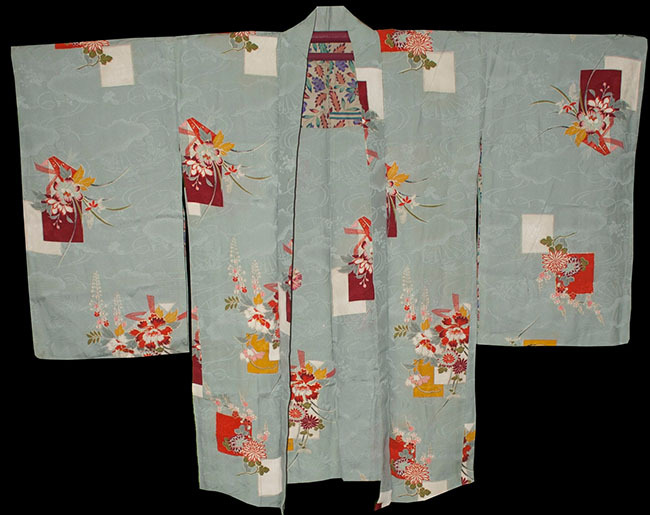 Kimoyes item: 22163 - Lovely soft vintage silk haori from the 40's-50's. 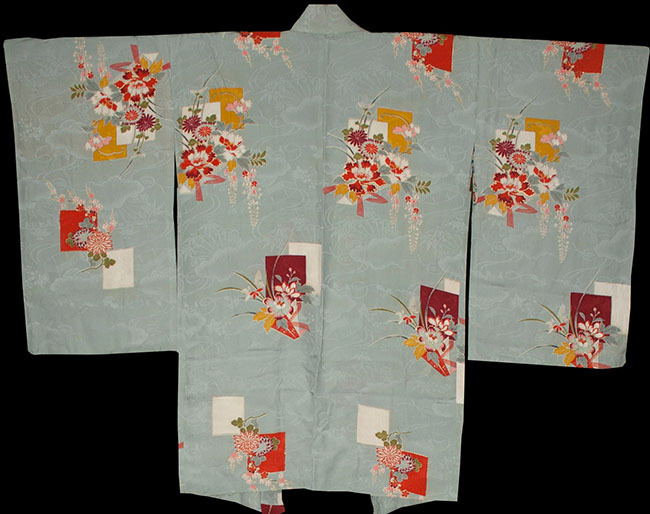 Lovely soft vintage silk haori from the 40's-50's. Pale grey silk with all over woven cloud and fan design and dyed floral motifs with some metallic gold outlines. 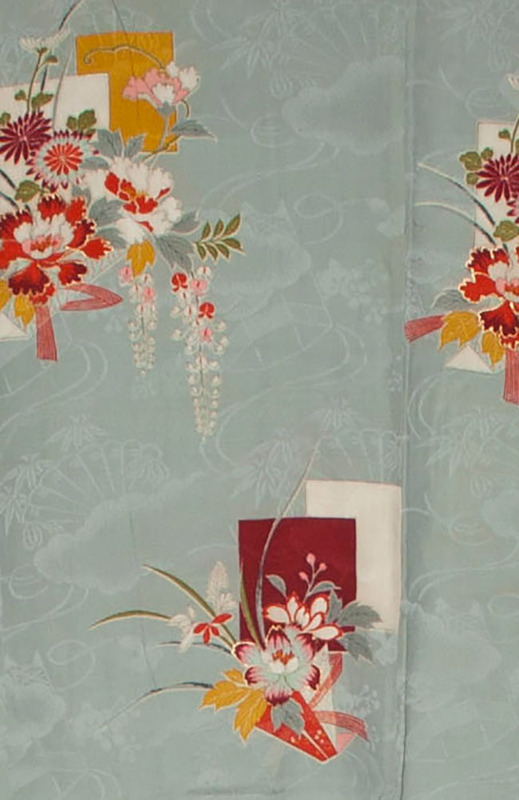 The half silk lining is equally beautiful and it is finished with elaborately woven orange and cream ties. 37 inches long and 50 inches from sleeve edge to sleeve edge and long sleeve length in keeping with age.